As job postings for a new cohort of Coral Fellows are closing this Friday (7/31/15), I thought this would be a great “don’t you want to be part of all this awesomeness?” post/tickler. While I was never a Coral Fellow myself, I’ve worked with fellows in the past, and have learned a lot over the past two years while helping the AIC highlight and push for the renewal of this very successful program. 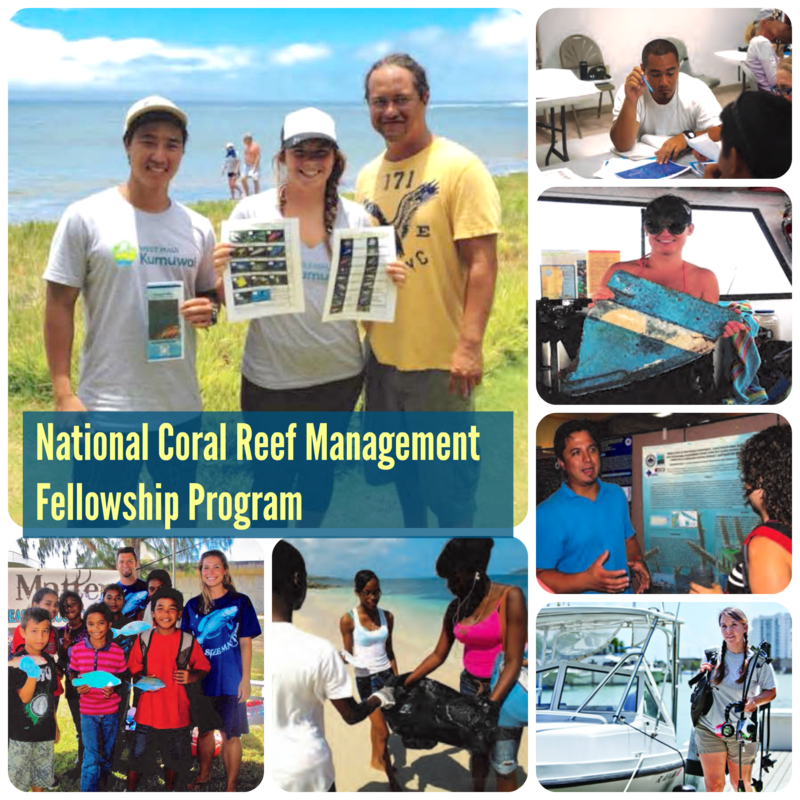 Since its inception in 2003, the National Coral Reef Management Fellowship Program has been a long-standing fellowship program within NOAA. After a brief hiatus, the program is back and built on a partnership between NOAA’s Coral Reef Conservation Program, U.S. Department of Interior’s Office of Insular Affairs, the U.S. All Islands Coral Reef Committee, and the National Coral Reef Institute. Over the years, this program has provided opportunities for students and recent graduates to gain experience and knowledge in the field of coral reef management at the local level in the coral reef jurisdictions of the U.S. as well as with Federal government agencies like NOAA. A significant number of the previous fellows from this program have gone on to careers in the arena of coral reef and/or marine resources conservation and with the jurisdictional knowledge and understanding gained during the fellowship. I have to admit that one of the most impressive things about this program is finding out what the fellows accomplished during their fellowship and where are they now. Here are a handful of VERY COOL highlights. Hawai’i – This fellow played a key role in supporting the work of Local Action Strategies in Hawai’i. Upon completion of her fellowship, she became a Planner for the Hawai’i Division of Aquatic Resources where she led the development of the Hawaii Coral Reef Strategy. She is currently the Reef Resilience Project Manager at The Nature Conservancy. Puerto Rico – After finishing his fellowship he stayed with the Department of Natural and Environmental Resources (DNER) for a while and has played a key role in the protection of coral reefs beyond his fellowship. He is now the representative of The Nature Conservancy in Puerto Rico and works hand on hand with the DNER Coral Reef Committee in strategies and activities to protect these ecosystems. USVI – A USVI coral fellow stayed on with the St. Croix East End Marine Park (STXEEMP) after her fellowship through the one-year contract position. During that time she grew the Friends of STXEEMP group that she developed, supported implementation of park rules and regulations, and served as a liaison between the park and its users. CNMI – It was with the help of a fellow that CNMI was awarded $2.9M (ARRA funding) for the improvement and management of Laolao Bay, a priority watershed. That fellow helped build and implement the Conservation Action Plan for that bay. Today, that fellow continues to work at the jurisdictional level as Lead Staff and Marine Resource Steward for Snohomish County, WA. Guam – A former fellow remained on Guam and currently serves as a federal fisheries biologist and liaison as part of the Habitat Conservation Division of NOAA Fisheries’ Pacific Islands Regional Office. Florida – Florida was able to keep their fellow on after the fellowship in her original position. She is responsible for coordinating the Maritime Industry and Coastal Construction Impacts focus area for Florida’s Local Action Strategy, the Southeast Florida Coral Reef Initiative (SEFCRI).